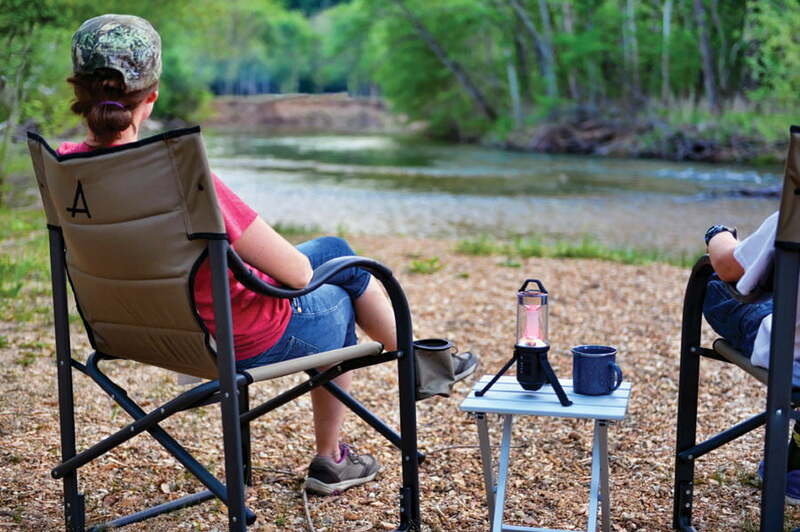 There’s nothing quite like settling into your favorite camping chair after enjoying a day exploring the outdoors. But finding that perfect chair isn’t always easy, as there are a variety of price points and features to consider when purchasing. The best options are lightweight and easy to transport while remaining comfortable no matter how long you sit in them. They also need to be durable enough to withstand the elements and hold their balance on a variety of different terrains. We’ve combed through the sea of available options to create our own list of the very best camping chairs for use in the backyard, campsite, or just about any other location. We’ve picked our favorites and sorted them by category so you can find the perfect match. If you’re also looking for something to keep you comfortable once it’s time to hit the hay, our list of the best sleeping bags should help too. Why should you buy this: The Coleman Quad chair has a winning combination — it’s durable, comfortable, and affordable. Who’s it for: Car campers or homeowners looking for a roomy, comfortable outside chair that won’t break the bank. The Coleman Oversized Quad Chair with Cooler is the Cadillac of camping chairs. It has a long back and roomy seat that’s padded for comfortable lounging around a campfire. Did we mention it also features a built-in cooler? You can use a small freezer block with two cans, or fit up to four cans alone in the insulated holder. Before you throw $12 at a cheap camping chair, you should seriously consider spending a little extra for this Coleman model. It folds easily and is made with a rugged steel frame and durable fabric that outlasts any discount chair you might find from a knock-off model. Besides, it’s hard to argue with the price tag, making the Coleman Quad one of the best values around. Why should you buy this: The GCI Outdoor RoadTrip Rocker chair is well-constructed, easy to carry, and offers a chance for you to rock back and forth by a campfire. 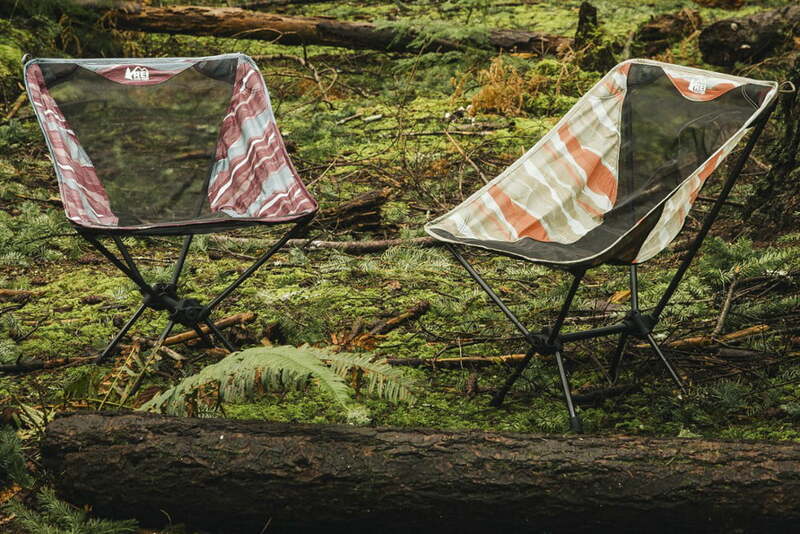 Who’s it for: Specifically designed for use at the campsite, this chair is meant for car campers. New for 2018, GCI’s Outdoor RoadTrip Rocker Chair has ultra-comfy padded armrests and mesh in the back to offer ventilation on hot summer days. It’s unique Spring Action Rocking Technology allows you to enjoy the relaxation of rocking back and forth even while you’re out in the woods. It features a sturdy frame with strong legs yet it isn’t overly bulky when folded into its bag. Additionally, GCI included a handy beverage pocket so you can crack a cold one during the summer or cozy up in winter with a hot cocoa around the campfire. For $50, it’s a reasonable price for a high-quality, all-around solid camp chair. Why should you buy this: The Alps Mountaineering King Kong chair is one of the sturdiest and most padded camping chairs available. Who’s it for: Those with a spacious backyard who want a throne beside the campfire. The Alps Mountaineering King Kong chair is a camping chair that takes comfort to the next level. As soon as you hunker down, you’ll quickly realize why the company named this model the King Kong. The chair is among the largest and strongest on the market, capable of holding up to 800 pounds. It also features padding to the max, with a fabric which remains taut and doesn’t sag while sitting. Pushing the scales at 13 pounds, this burly chair is heavy and not suitable for carrying over longer distances. Instead, it makes a better option for use in the backyard as opposed to a backpacking trip or outdoor concert. If you’re looking for a durable chair for use on the patio or back deck, this one can’t be beaten. Why should you buy this: The ultralight REI Co-Op Flexlite chair gives you a good reason to bring a chair with you on your backcountry adventures. Who’s it for: Backpackers who want more than a log to sit on when they break for camp and don’t mind carrying extra weight in exchange for a comfortable place to sit. Carrying a chair into the backcountry is no longer a crazy idea thanks to minimalist chairs like the REI Co-op Flexlite. This model is constructed using an ultralight, folding aluminum frame with a simple but effective four-leg design. It weighs a svelte 1 pound, 10 ounces and packs down so small it takes up almost no room in a backpack. So, what do you sacrifice for the convenience of stuffing a comfortable chair into your pack? To keep it light, the Flexlite has zero padding, meaning it’s not nearly as comfortable as its full-featured counterparts — such as our top pick, the Coleman Quad. The convenience of carrying a chair comes with a cost as well: The Flexlite is priced at $80, making it one of the more expensive options on our list. 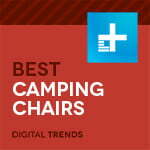 Why should you buy this: Kids need camp chairs too! Who’s it for: Parents who want a stable and durable chair that’ll support children from toddlers to teens. Kids are tough on chairs — they are as likely to stand in a chair as they are to sit in it, which is why we recommend the REI Co-Op Camp Chair for outdoorsy families. Unlike the cheap, child-sized chairs at big-box retailers, REI’s kids chair is made with a durable frame material and fabric that provides years of usage. It’s also designed to be stable, so kids doing cartwheels in the chair won’t topple over into a heap. Similar to its adult-sized counterparts, the REI camp chair is equipped with a cup holder and folds quickly for transport. It even has a carry strap that makes it easy for older kids to carry it themselves. Why should you buy this: The versatile Nemo Stargaze Recliner Luxury combines swinging and reclining features with the convenience of a camping chair. Who’s it for: Car campers looking for a reclining camp chair that also doubles as a cozy rocker. The Nemo Stargaze Recliner Luxury chair is unique because of its ability to swing and recline. The chair effortlessly adjusts from sitting and swinging to leaning back via its auto-recline feature, allowing users to kick back and look at the stars or soak up the sun. The chair can be used on virtually any surface including rocks, sand, and bumpy, uneven trails. 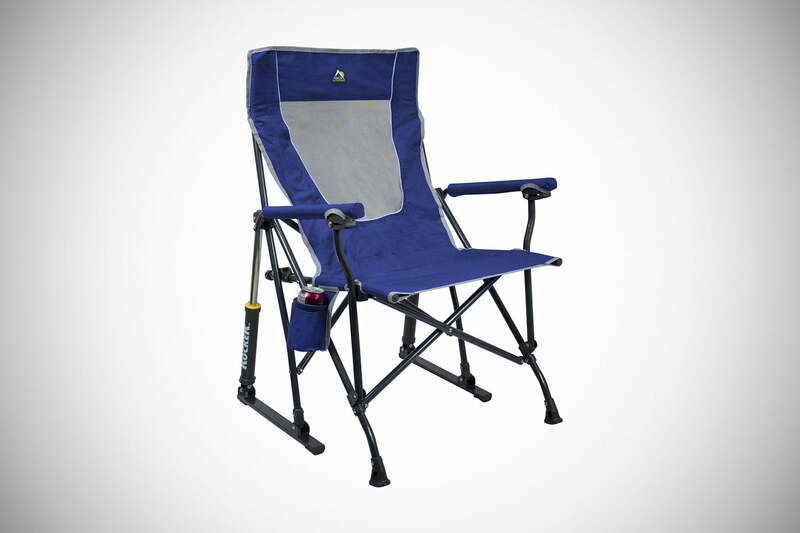 This comfy recliner is built with a sturdy yet lightweight aluminum suspension frame and showcases a no-spill cup holder perfect for your camping beverage of choice. The swinging motion is fluid and easy while setup is intuitive, meaning anyone can easily put it together. Its lack of movable footrest means you get the advantage of being able to lie back without the extra space and weight which tends to come with a full head and foot recliner. At $219, it’s by no means cheap, but if you want the comfiest reclining chair available, this one is worth the price tag. Why should you buy this: The brand-new Yeti Hondo Base Camp chair is the toughest chair on the market by far and extremely comfortable to boot. 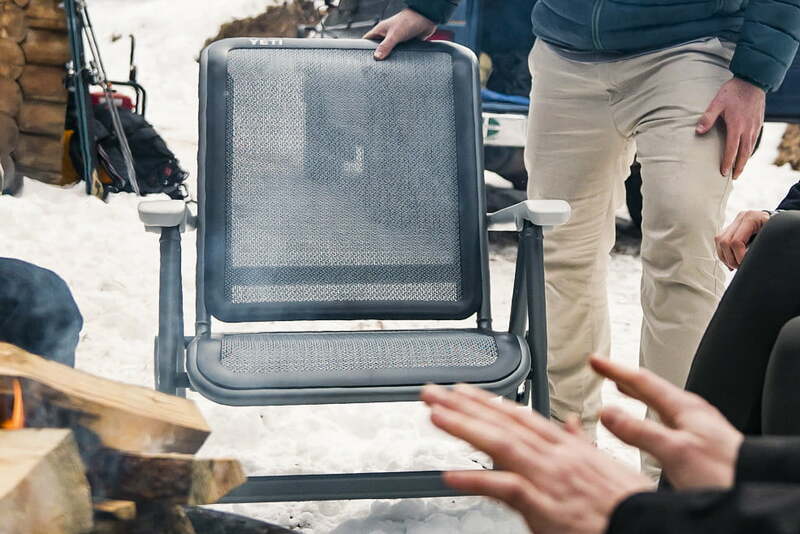 Who’s it for: The Yeti Hondo Base Camp chair is for the outdoorsy person who hosts backyard barbecue and wants the cream of the camping chair crop. Made by the same high-end brand that makes uber-durable coolers, the Yeti Hondo Base Camp chair is nearly impossible to break. Built to last forever, you can rest assured you’re never going to put your hand through the seat and watch fabric shred, or accidentally drop it while loading the car and dent the metal in the legs. The chair is constructed with top-of-the-line, premium materials — the same fabric used in climbing harnesses and the same aluminum used in mountain bikes. The supremely strong DoubleBarrel frame has two layers of aluminum alloy reinforcement to make it exceptionally stable without a hint of wobble. Put plainly, sitting in it feels like heaven. With Yeti’s EasyBreathe mesh and FlexGrid technology, there are virtually no pressure points digging into your seat. Just smooth and cushy comfort. Why should you buy this: The Eno Lounger hanging chair is a lightweight alternative to a traditional chair that rates high on the comfort scale. Who’s it for: Campers who prefer to hang instead of reclining. The Eno Lounger Hanging Chair provides a comfortable alternative to the traditional camp chair. Instead of sitting on the ground, the Eno Lounger allows you to hang from a tree much like a hammock. 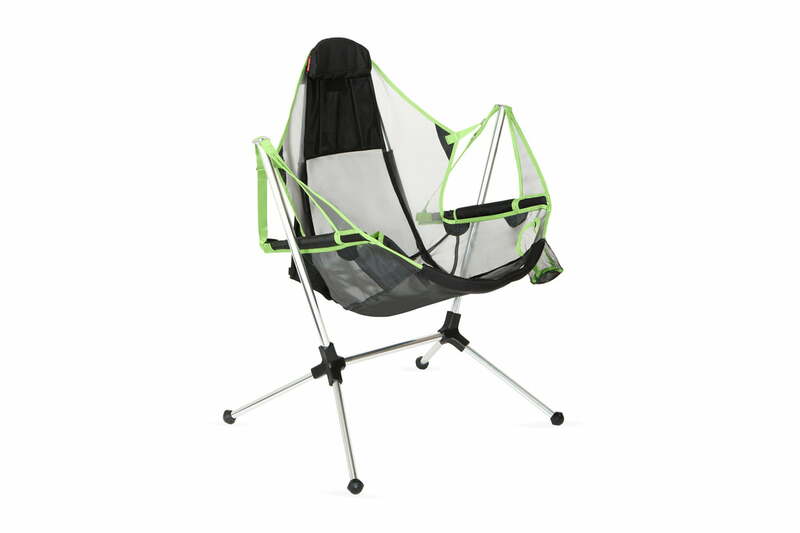 Also similar to a hammock, the hanging chair is comfortable thanks to the chair’s ripstop nylon fabric, which is breathable and provides adequate back support. It even has an integrated footrest for those times you want to recline instead of just sitting. While a hammock uses two attachment points, the Lounger Hanging Chair has a single, overhead attachment ring which suspends from a branch. You’ll need to pick a sturdy one to support your weight, which is the product’s biggest drawback. Many campgrounds clear the branches from a campsite, making it difficult to find a place to hang. You can bring it backpacking but you may not want to carry an extra 3 pounds just for a chair. When possible, we field test our chair recommendations across a variety of terrains and weather conditions. We try to test each chair under the conditions in which it figures to be most frequently used. When testing a chair is not possible, we look at the features of the chair and compare it to existing models in our arsenal of gear. We examine how the chair has changed and what improvements, if any, were made for the current year. We also comb through product specifications and both manufacturer and retailer videos for insight into any new technological advances developed for these latest and greatest camping chairs.